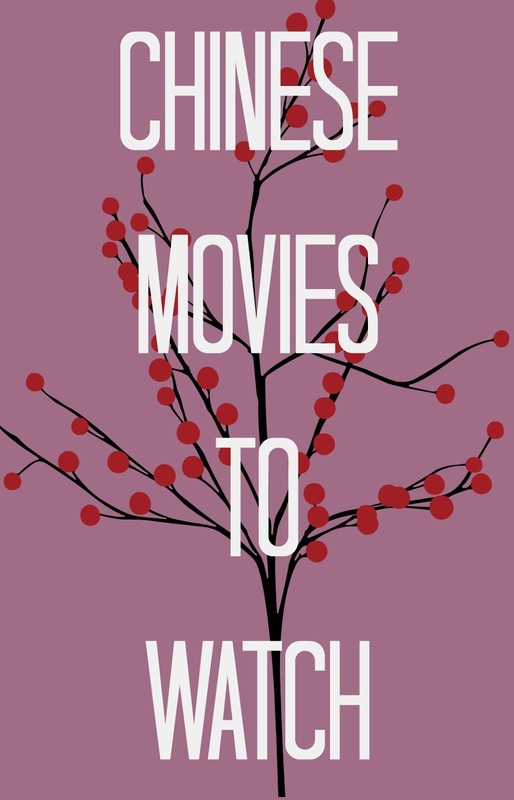 Even if you don't normally watch films in Chinese, here are some films that I think are worth a watch even if you have absolutely no interest in the language. Several of them tell beautiful, heart-breaking stories full of love. Others are more quirky and unexpected, and all give little glimpses of Chinese culture. You'll note, sometimes I compare the Chinese film I'm describing to a Western film--this is not at all to say that is where the film was inspired from, or anything of the sort. Each of these are their own unique creations. However, much of my blog audience is probably a little unfamiliar with East Asian films, and I wanted to give them something relatable as a way of describing the film, so that hopefully they are a little more willing to step out of the comfort zone of English films and try a Chinese movie. A daughter who betrays her own father after he escaped from prison during the Cultural Revolution. A wife who loves her husband desperately but suffers mental trauma and some sort of dementia--so that when he finally returns to her, she cannot recognize him as the husband she loves. Vaguely reminiscent of The Notebook, but since I utterly detest The Notebook, I'd have to say this one is much better. This is a can't-look-away film about a simple country boy on his way home, carrying a lot of cash from the job he's worked at for years. He attracts the attention of two separate groups of thieves--one of the professional thieves feels sympathy for him and decides to protect him and his money at any cost. There's so much going on and you have no idea how the movie will end--I'll just tell you that the ending is one that would surprise pretty much any Western viewer. Chinese movies are MUCH less predictable than American movies in my experience, and it's probably just because of different expectations. A romance, in which a son, who has returned home on the occasion of his father's death, tells his parents' love story, which has become the stuff of legend. A 'romantic comedy' with the most interesting premise: a pregnant Chinese woman comes to the USA to give birth, staying in a home that exists for the purpose of housing Chinese women until their babies are born and receive their USA citizenship. This premise is based on the real-life phenomenon of some unmarried Chinese women who want to have their babies in America--something that I didn't know happened until I watched the film. Just plain funny underdog sports movie. Kind of like something along the lines of The Mighty Ducks, only with martial arts, soccer, and a totally different feel from a sports movie in the USA. Also taking place during the Cultural Revolution--a city boy is sent to the northwest to live with a nomadic tribe. He makes friends with a wolf, and there's a lot of drama, and he does some very silly things because he doesn't really know how to be a nomad in a frozen world. I was fascinated with this because it gave a good glimpse of a part of China that is less represented than the more well-known southern and northern big cities. Oooh, I'll have to keep these in mind for when I want to practice my Chinese. I agree that Chinese films/dramas in general are unpredictable--when I was in China last summer, I became hooked on this gripping drama. Definitely not the most intellectual/classy way to pass time haha, but if you're looking for a good drama, I definitely recommend "Kong Cao Lao Ye", or Empty Nest Grandfather. Also, really loved your honest post about your marriage. I really think media has convinced us that partners need to read minds and lavish us with sweet gestures, but that's totally not reality. I love that you're able to be candid with Angel about everything. We don't get a great deal of Chinese cinema over here so these are all new to me. 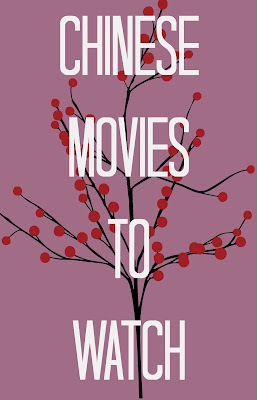 I'm keen to branch out though, which would you recommend for a first time Chinese film watcher?? This is funny timing, because just the other day I was thinking about how I really need to watch "The Road Home" since I haven't seen it in a while! All of these sound awesome, and I need to look around for them-I love foreign films, and these plotlines sound so good! Finding Mr. Right sounds particularly intriguing.